Add some sweetness to your life with these easy-to-make Indian sweets recipes. Make yourself and your loved ones happy. 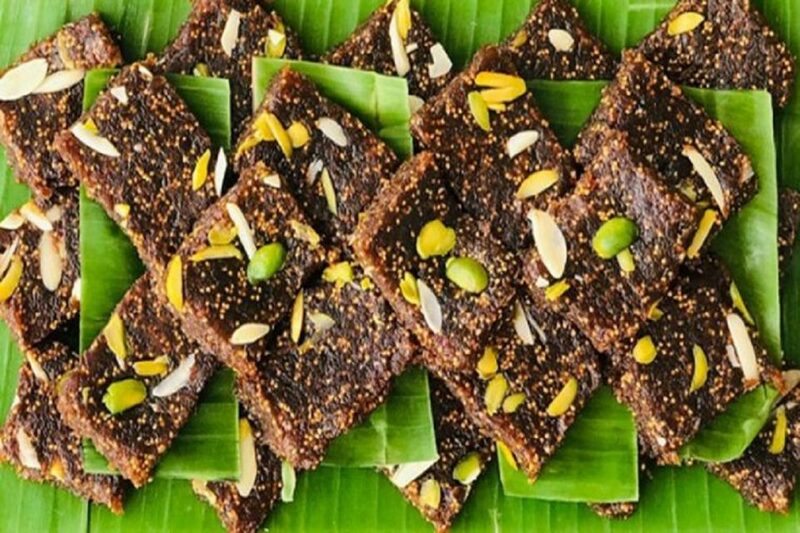 If you love eating Indian sweets then you must have probably heard about Sunahri Pak and Anjeer Ki Katli. A temptation hard to resist, these sweets are not only tasty but also easy to make. Don’t believe us? Take a look at the recipes by Devraj Sharma, Senior Sous Chef, Crowne Plaza Today Okhla and decide for yourself. You will be rushing to the kitchen to try them out. Soak 1 cup of anjeer for at least 2 hours and then boil it. Grind the boiled anjeer to make a paste and keep it aside. Melt ghee in a pan and add anjeer paste to it. Prepare a sugar syrup and add it to the paste. Add condensed milk to the paste followed by elaichi powder, gulab jal and kewra. Then set it in a tray and garnish it with dry fruits. Let it refrigerate for 30 minutes till it settles down. Cut it into your desired shape and serve. Grate the papaya and place it in a bowl. Add sugar, almonds and pistachios and sauté for 1- 2 minutes. Add papaya and sauté on high heat for 5-6 minutes.